Alzheimer’s WA is offering an exciting opportunity to develop staff in the specialist field of dementia care. 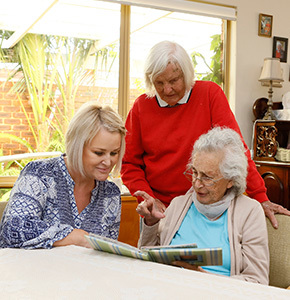 The Dementia Change Champion (Community) Program is part of the Dementia Partnership Project and has been funded by the Australian Government Department of Health under the Commonwealth Home Support Program (CHSP). The Dementia Change Champion Program will equip participants with knowledge and skills to help them support and enhance dementia approaches in their workplace. For further information about the Dementia Change Champion Program, please contact us on 1300 66 77 88 or dcc@alzheimerswa.org.au.